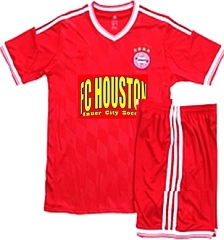 Notice (July 15th, 2014 ): This 2014-2015 season FC Houston will NOT be participating in the HYSA league and we will also NOT issue ID's for EDDOA U11 and U12. In addition, we will Not register teams for Super-2. The only registration FC Houston will do is Tournament ID cards that will be issued through US Club Soccer. This ID will enable each player to have insurance and it is good with all unrestricted STYSA sponsored weekend tournaments. The cost is $30 per player and the US Club Soccer and it lasts from August 1, 2014 to July 31, 2015. Click here for age chart. -- You will be emailed the ID card no later than 5 business days. You may now pay your registration fees online using PayPal. Simply fill-in the information to the right and click on "Pay Now". Note: there will be a 2.99% surcharge shown as tax.